For lovers of good food and designer ambience. Winner of Travellers Choice Awards 2012 from Trip advisor and directed by Chef Enrique Diaz. 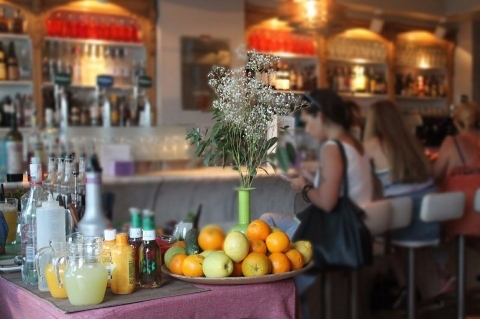 Also winner of Restaurant of the Year by Madrid Fusion, Lateral offers its customers a very modern space where you can enjoy a great variety of contemporary mediterranean bite-size snacks and tapas presented in a decorative and original manner. 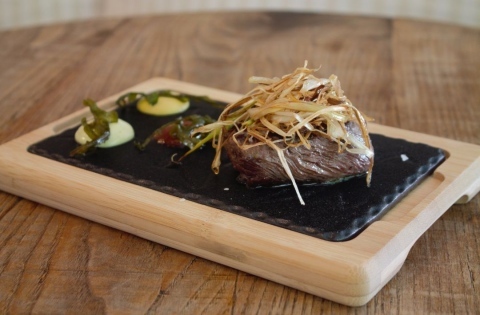 In their extensive menu you can find classic snacks as simple as a bread with tomato and ham, to more elaborate one’s such as Niguiris beef tenderloin with truffle oil, salmon sashimi with soy sauce and wasabi or wild mushroom mini crepes. Definitely worth a stop along the shopping street of Calle Fuencarral.